Six months ago, a niece of my wife passed away unexpectedly at age 47. 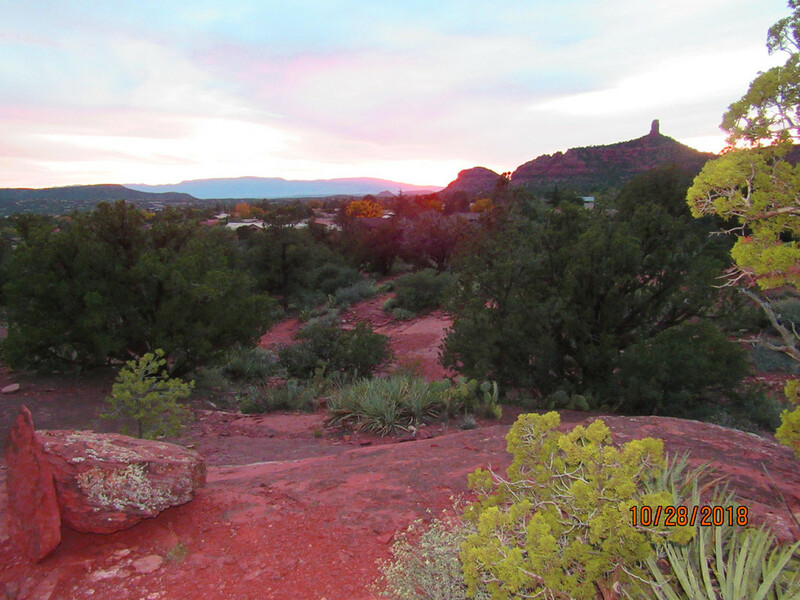 She and her SO lived in AZ in a small town south of Phoenix. We were all shaken up by her passing and held a small family gathering at our home a couple of weeks later. 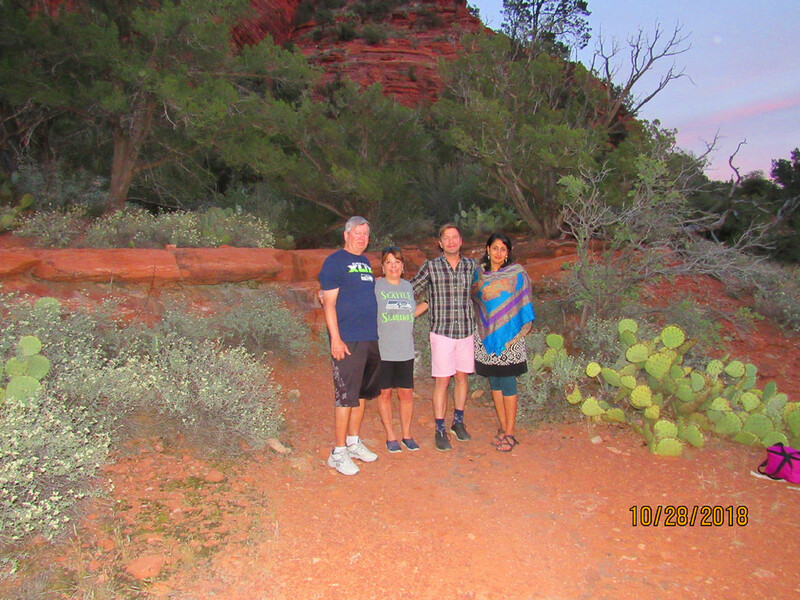 We decided then to meet in Sedona, AZ to spread her ashes among the beautiful red rock hills that surround the city. 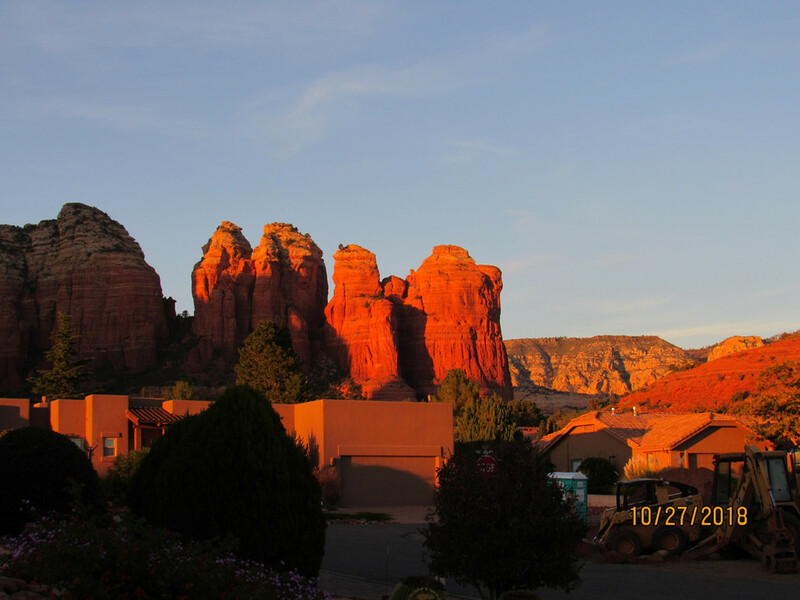 We rented a beautiful home in Sedona through VRBO and a few of us met there on Saturday afternoon for the weekend. 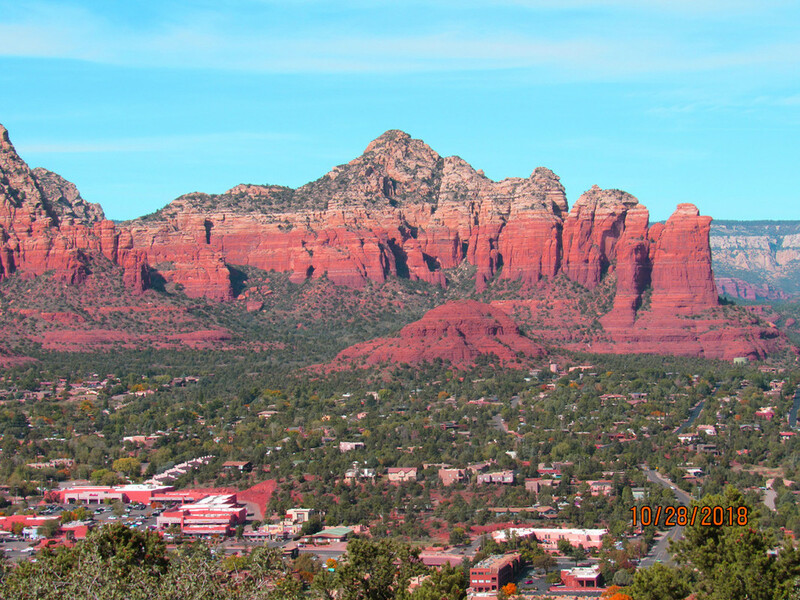 Lisa was a lady who loved the outdoors, loved Sedona and loved hiking the many trails in and around the city. The home we rented was just two short blocks from the start of a trail that led up into the hills. We were all pretty sure we could find a nice place for her to spend eternity, and find it we did. We hiked up there Saturday evening and again on Sunday to spread her ashes, and again on Monday before we all departed for a last goodbye. 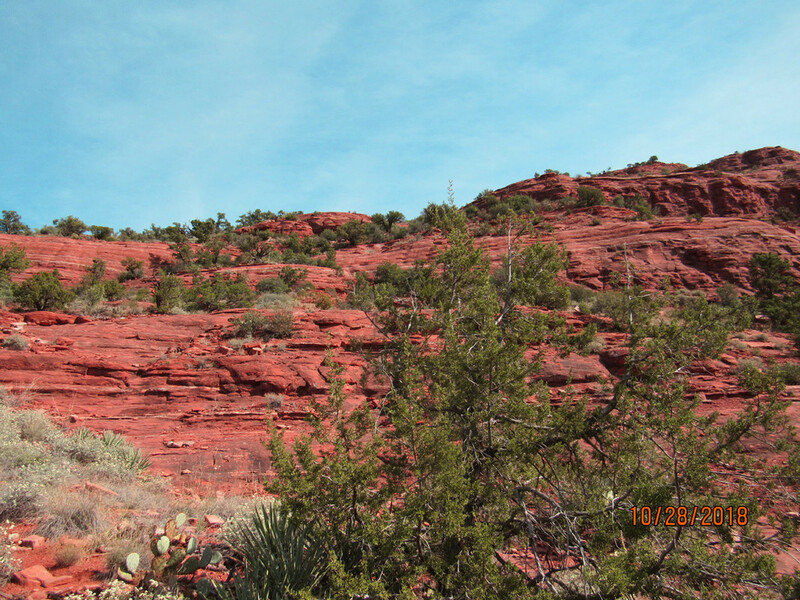 Here are some photos of what that area looks like. 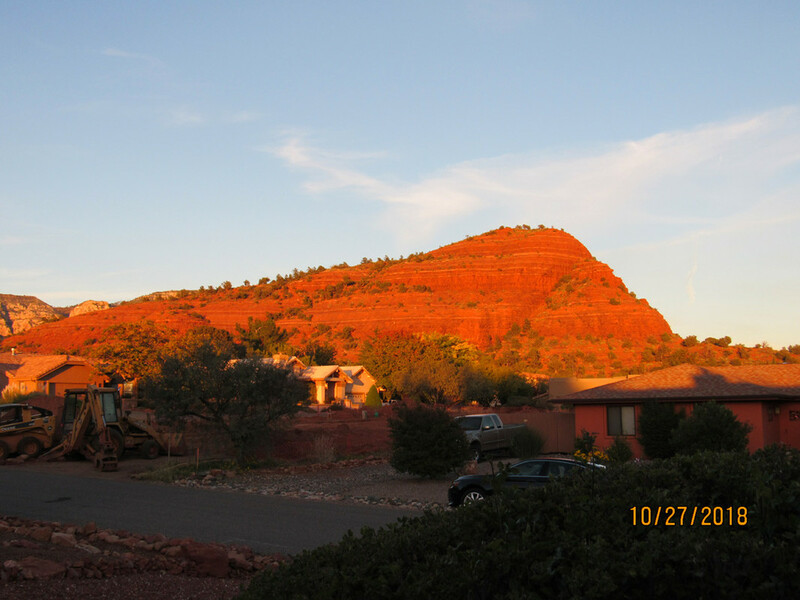 The first two are part of the view from the home we rented. A few other shots from around the area. The group who gathered for Lisa. Her Significant Other, my wife, Lisa's brother and his wife. It was an emotional weekend with lots of time for each of us to share stories about fun we had with Lisa. She will be missed. Obviously she was as lucky to have all of you as you were to have her. A beautiful place and a wonderful thing you did for her as well as for yourselves. A better handling of a terrible thing could not be asked for. Wifey B: So beautiful. I hate funerals and neither of us intends to have one, but a memorial like you had is so personal, so thoughtful, so moving. It honored her and your feelings for her as a family. It was heart wrenching but it was also spirit lifting as you thought of the wonderment of Lisa. You made it personal while so much of death and funerals is just a scripted ritual. You made it about her while also creating new memories around her. I've never dealt with the death of someone important to me and I hope when I have to that I'm as thoughtful as you were as a family. We recently suffered a loss that I can’t yet write or talk about, so your post hit home. You did a great job in a difficult circumstance that we all have to deal with at some point. Thanks to WifeyB and all the others for their comments. Yesterday my wife and I drove down to her SO's home. He wanted my wife to go through her clothes (Did I mention she was a clothes horse???) and pick out what she wanted. The rest will be donated to a few women's shelters for the women who have to stay there. It was a very emotional time for Tina to have to pick and choose from Lisa's clothing. There were 3 closets of brand name, designer dresses and suits, handbags, shoes, etc. (Did I mention she was a clothes horse???). Tina picked out a few things that she liked and it hardly made a dent in the total amount of clothes. Many of the clothing items were designer dresses and suits with brand names, several with the tags still attached. Amazing. She had 3 closets filled with all kinds of clothes. Amazing. The 3 of us went out to dinner at a cowboy grill that had a trivia game last night. We put our collective heads together and managed to come in 3rd out of about 20 tables/groups playing. For that we earned a $10 certificate good for food. All things considered it was a nice evening. It is wonderful that your wife will have a piece to remember Lisa by... Something to feel and touch. 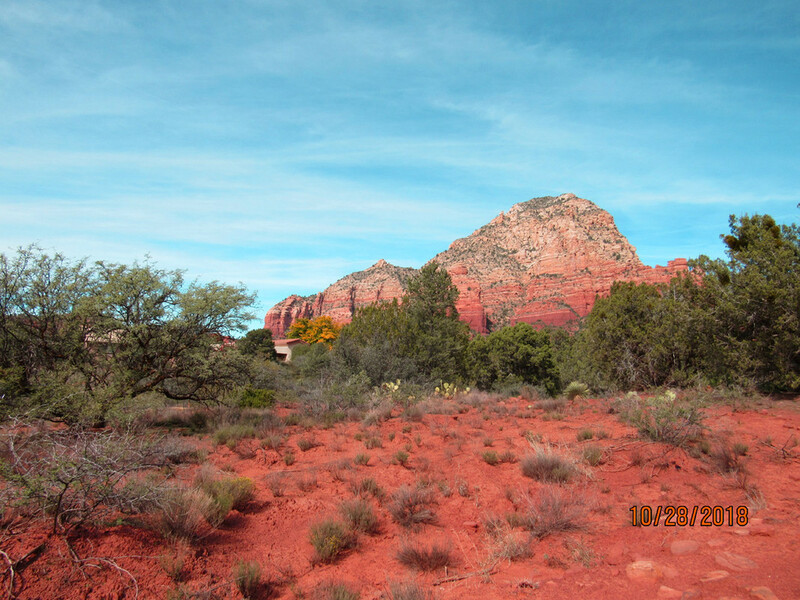 The trail looked beautiful too. So sad for you at this time. Life is too short! Thanks all for your comments. Lisa's "spot" is a place we can easily find again but it's off the trail in an area where others are not likely to find it or disturb it. We'll go back again to visit her spot. She was worth it.